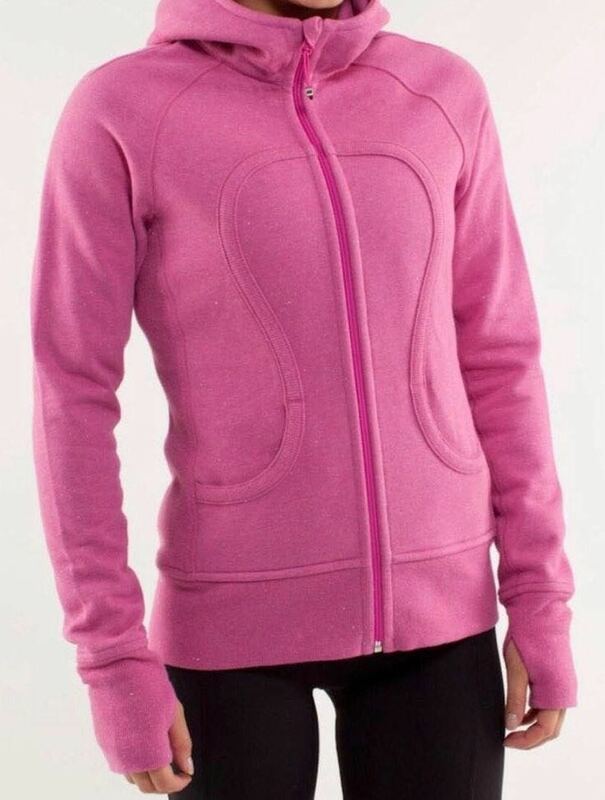 Cute lululemon scuba hoodie in pink. Also has sparkle detail in the thread. Super warm and fair condition. I’m 5’11 and this top was always a little short and wide on my torso.